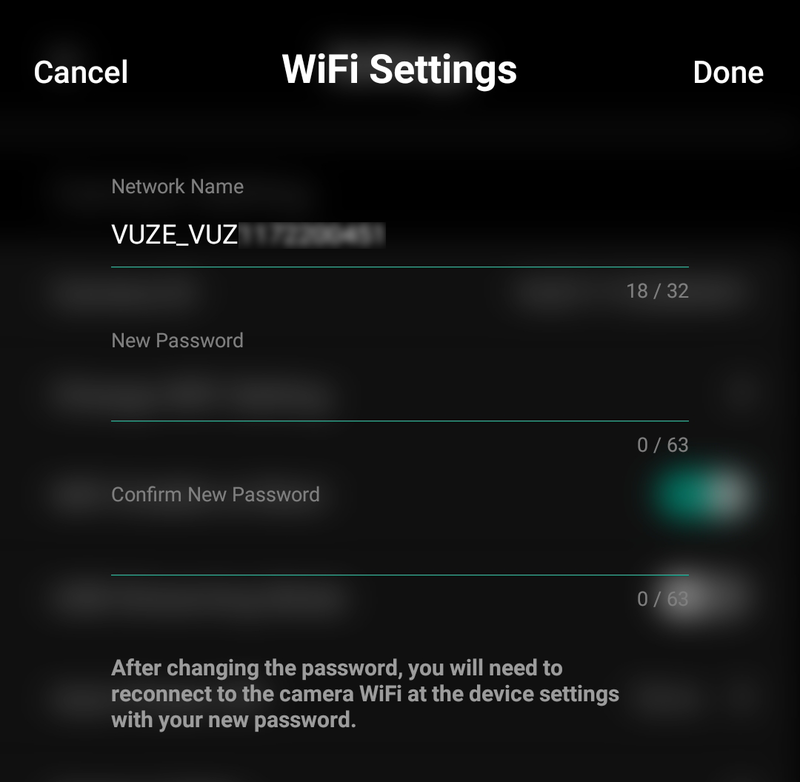 It is possible to control both the Vuze-1 and Vuze Plus by a remote mobile app. "Vuze camera" app should be available on both Apple App store and Google Play store. Once downloaded and installed you should turn the wifi ON, located behind the camera's side door, by pressing the wifi button once. The default network name is the camera's serial ID. Make sure you record at 120Mb\s to get the maximum quality from your camera. 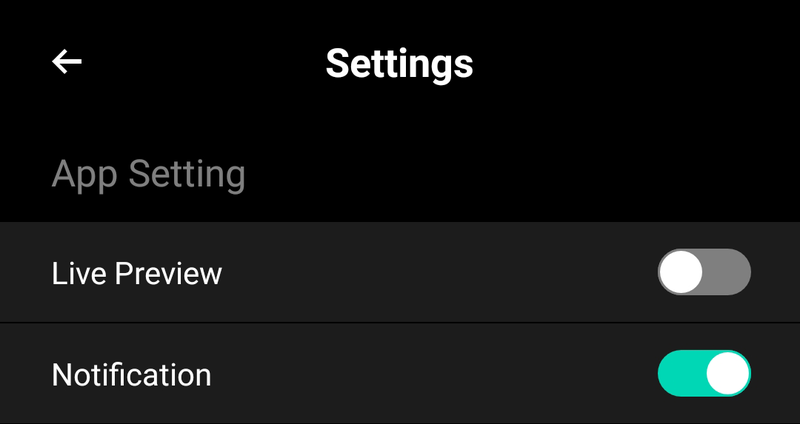 This is the default option when installing the app but this option could be changed in the Recording Options section of the app's Settings. Preview from the camera can be set up so you are able to see what you're about to record before you press the record button. Go to Settings to enable or disable this option. 50/60 Hz may reduce flickering issues when recording indoors. For instance, when recording under neon lights the Anti-Flicker option should be set to 50Hz. 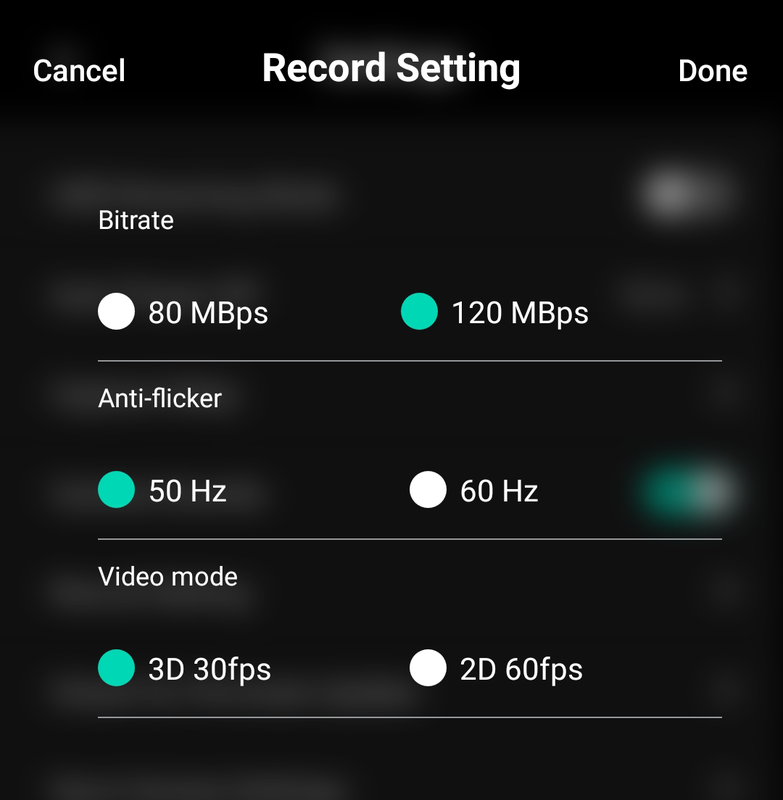 You can find the Anti-Flicker options under the Recording Options inside the Settings section of the app. The app has an option you can select to automatically turn ON the wifi when the camera is powered ON. Go to the app's Settings and select "Wifi Enable on Boot". Turn the camera ON and wait until it is in Standby mode (solid blue indicator light). Turn the wifi ON (unless it is already). Push and hold the wifi button for 5 seconds until you hear a beep. Release the wifi button and try to connect with the default password mentioned above.